Anti-war campaigners targeted Israeli companies who are attending an arms fair in London next week, with protesters saying Israeli weapons are “battle-tested on Palestinians”. 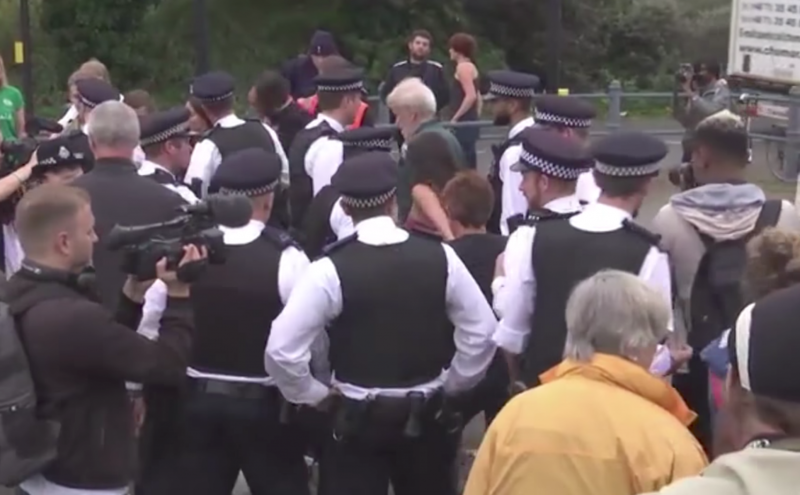 Eight arrests were made on Monday ahead of the biennial Defence and Security Equipment International (DSEI) which takes place 12-16 September at the ExCeL centre in Docklands, as protesters took part in “direct action” outside the venue. On Tuesday a further 17 people have been arrested on suspicion of obstruction of the highway. The arrests were made after vehicles were blocked from moving along the road. Those arrested refused to comply with repeated requests to move out of the road. Kat Hobbs of Campaign Against the Arms Trade said “Israeli weapons are battle tested on Palestinians,” while Rev. Enid Gordon, a Methodist minister, said it was “against God’s will” to sell weapons to Israel. Elsewhere, other protesters showcased dozens of small cardboard coffins, each with a picture of a Palestinian child killed by Israeli drone strikes. Last year eight protesters who blockaded the DSEI event were acquitted by a judge, who said there was “compelling evidence” that illegal arms were being sold there. The protesters had argued that they sought to prevent the arms fair from going ahead in order to prevent greater crimes such as war and repression. 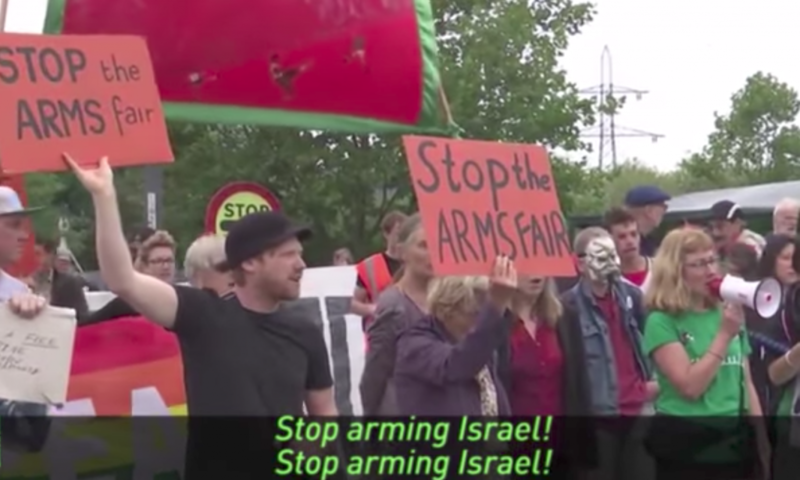 Earlier this year, protesters also targeted Israeli defence firm Elbit, which has factories around the UK, as well as bank HSBC, which was urged to “stop financing Israel’s militarised repression”.